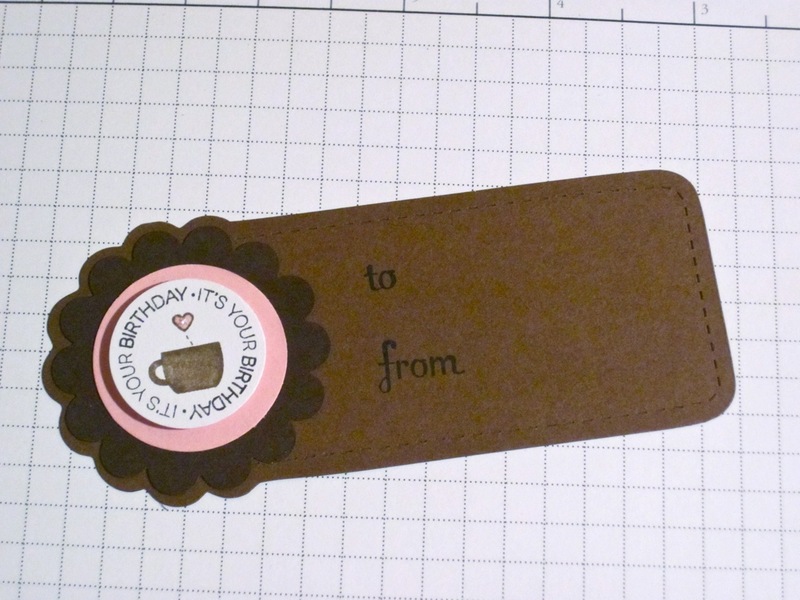 I've delayed this post because it's my sisters birthday gift, and I know she reads my blogs. I've been working on this for a while, and I finally got it finished just in time to mail it to her (she lives way up north). 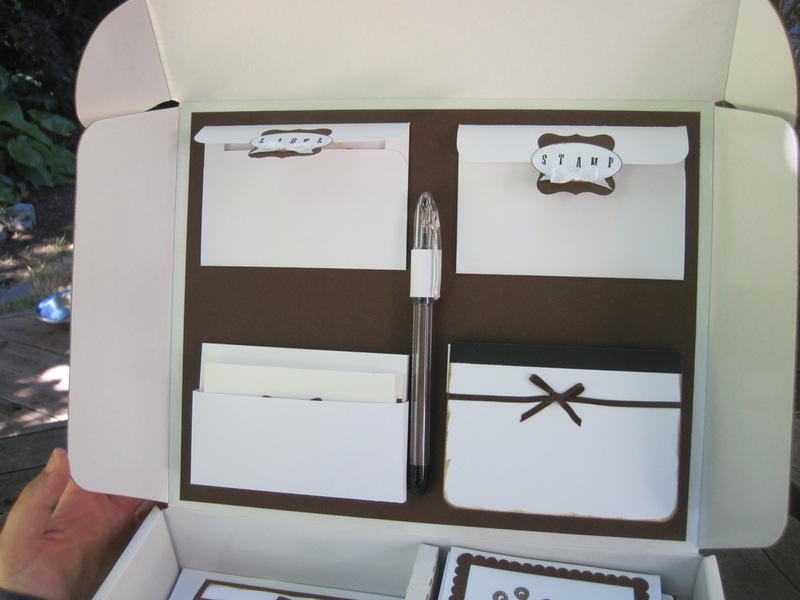 I made her a stationary set! 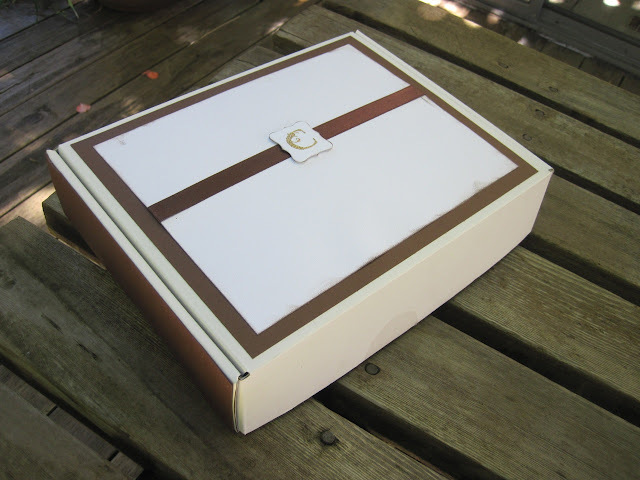 Here's the outside of the box (originally the box our router came in). 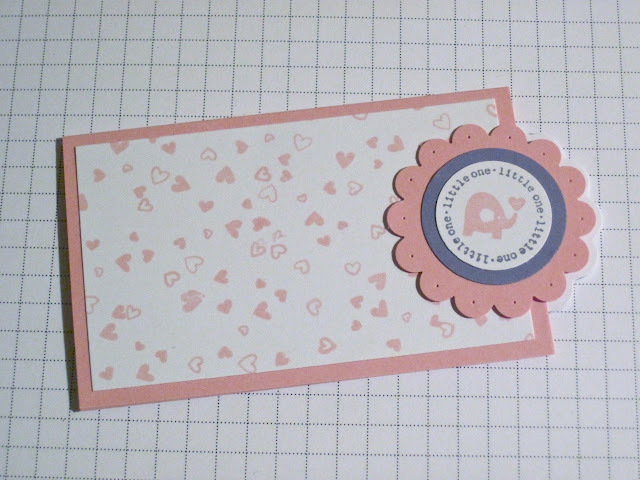 Inside, there's address labels (won't show them, but they match the rest of the set), stamps, a set of mini cards, a pen and a little notebook to keep track of addresses and birthdays. 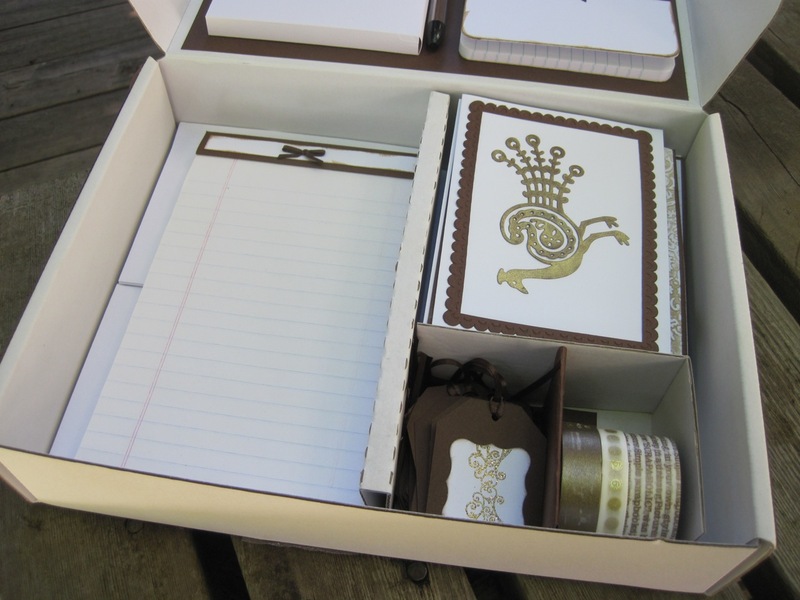 Then in the bottom is a pad of writing paper, a bunch of regular cards, gift tags and some washi tape just for good measure. 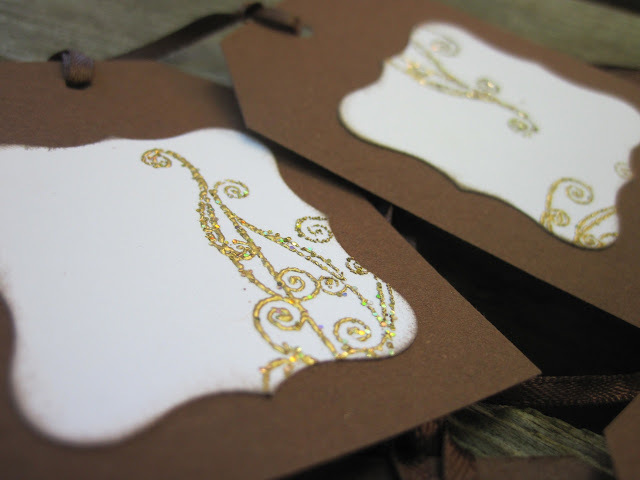 And these are the full sized ones, along with some of my favourite details. 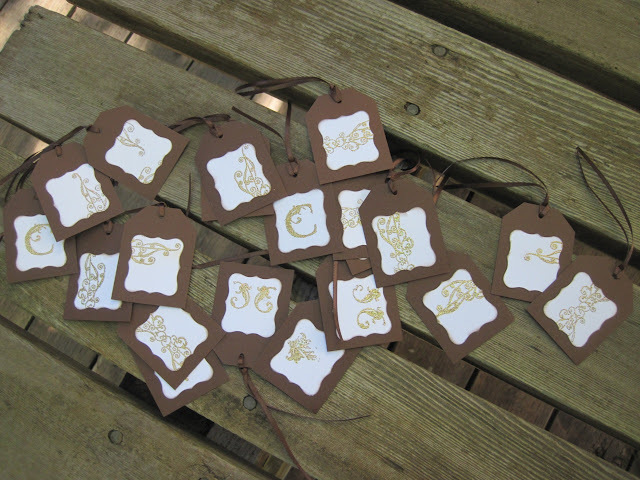 The tags were one of the first things I made, and the most labour intensive. I've been spending the last day playing with my new stamps, inks, card stock and tools during the day (yay night shifts!) 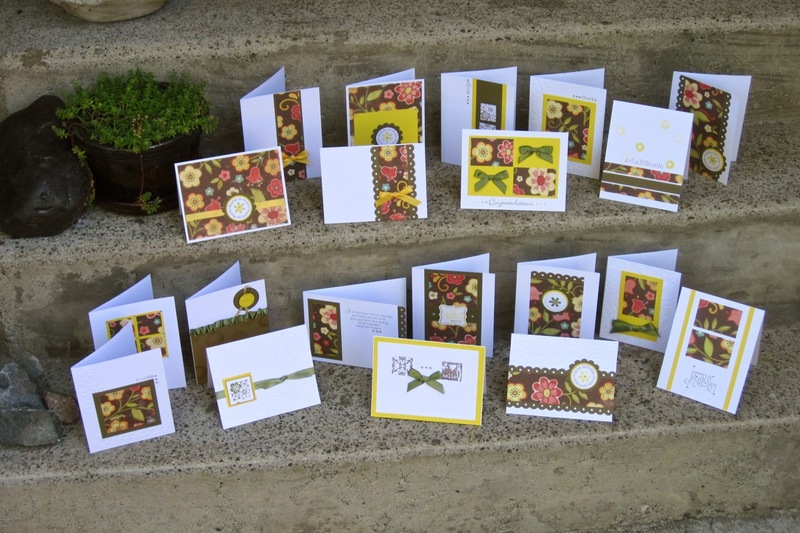 and here's some of what I came up with! 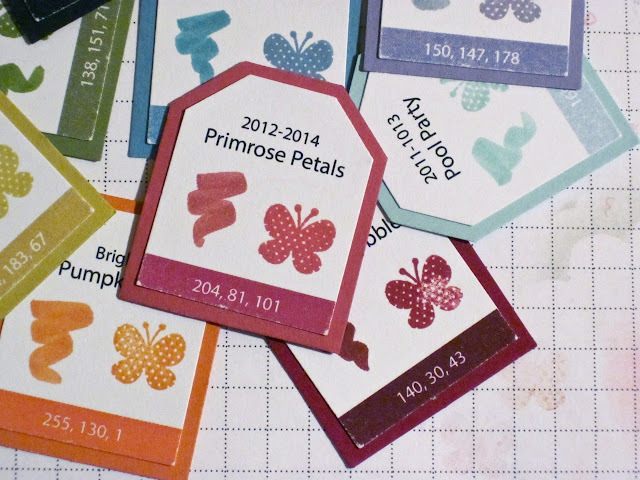 I have no idea what I'll use them for, maybe some mini cards? But I had fun playing and they're so darn cute! 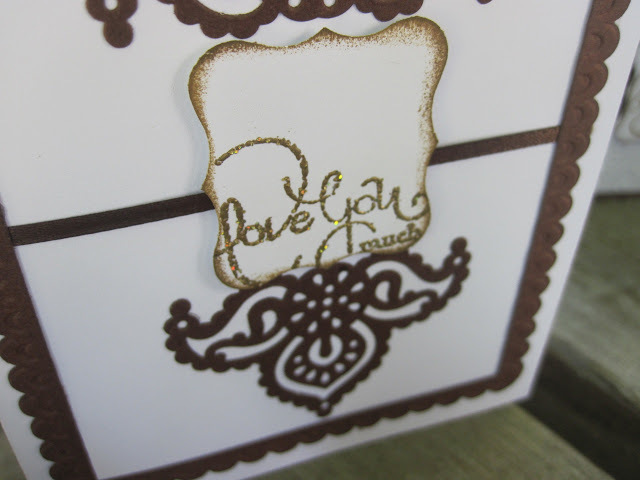 My Facebook followers already heard, but I've been waiting to make a post here until I had photos to post too. 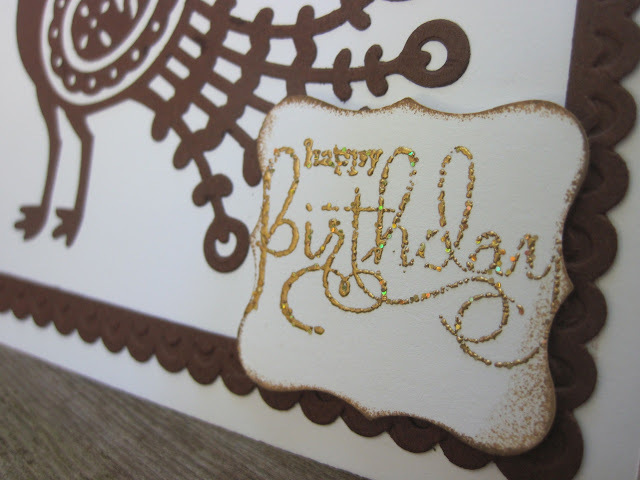 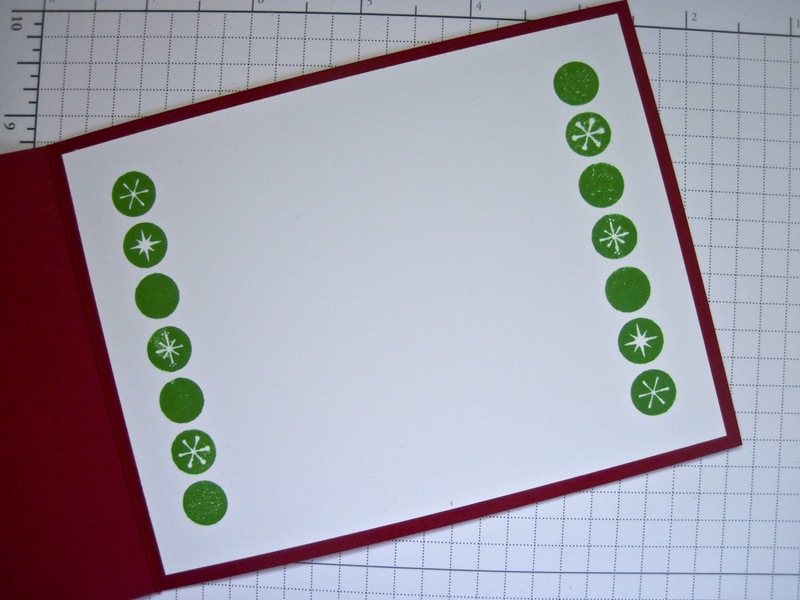 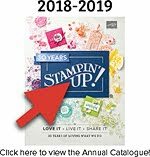 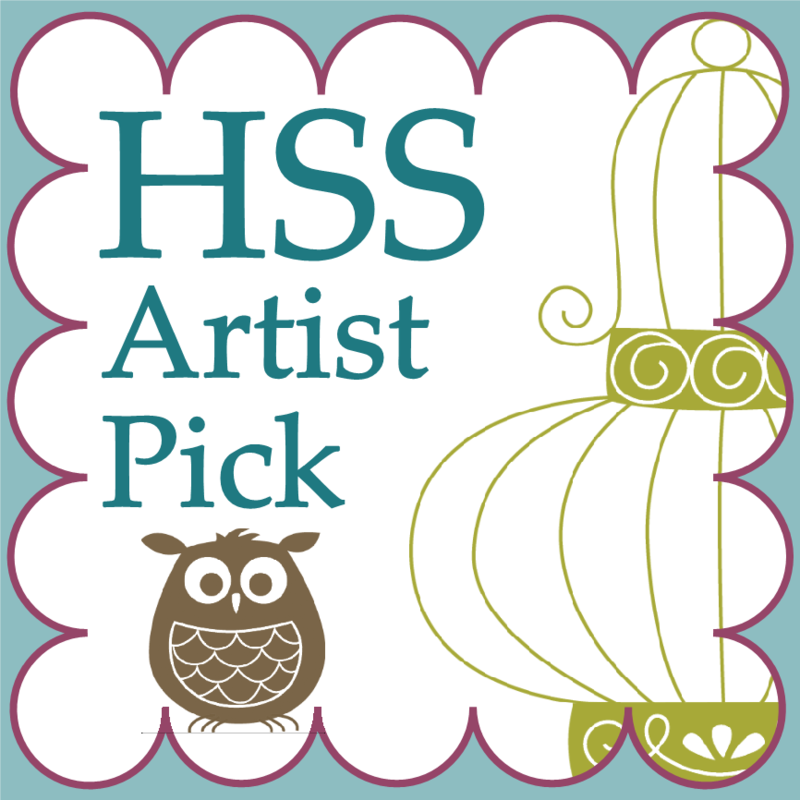 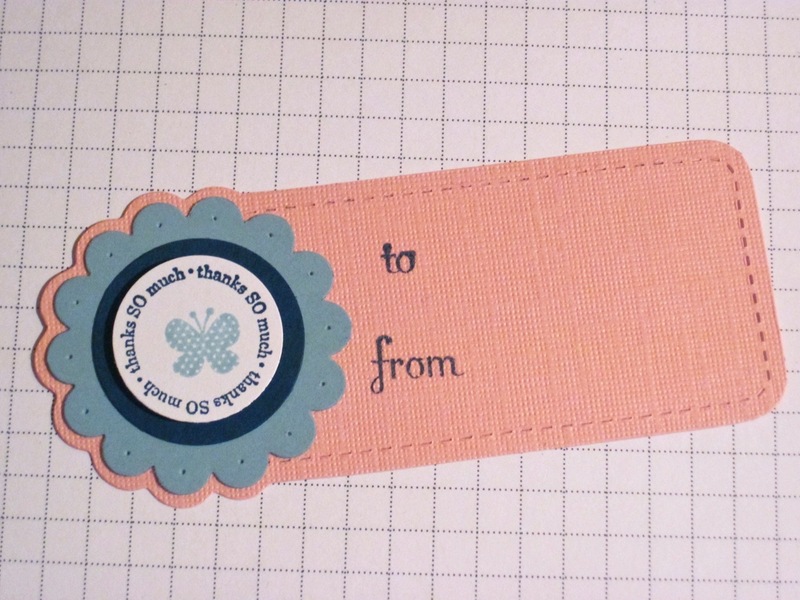 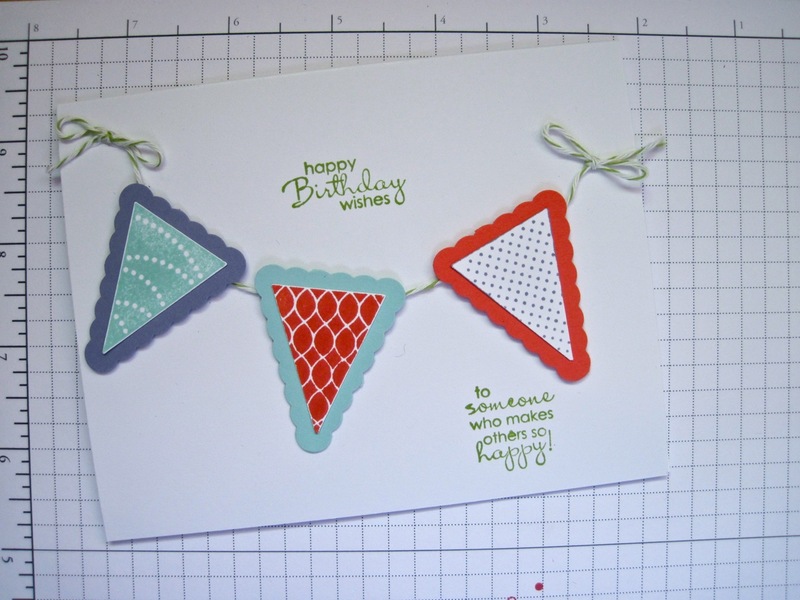 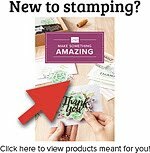 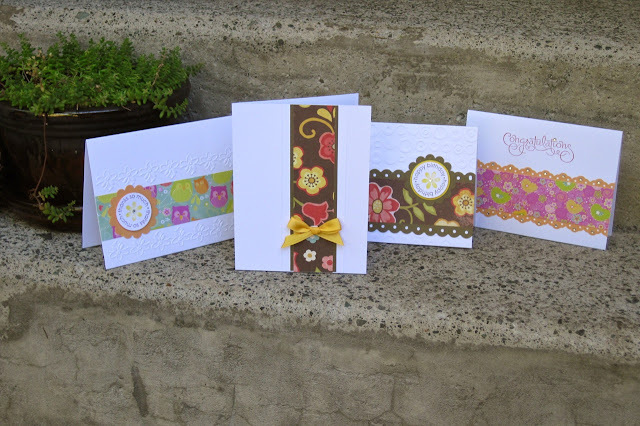 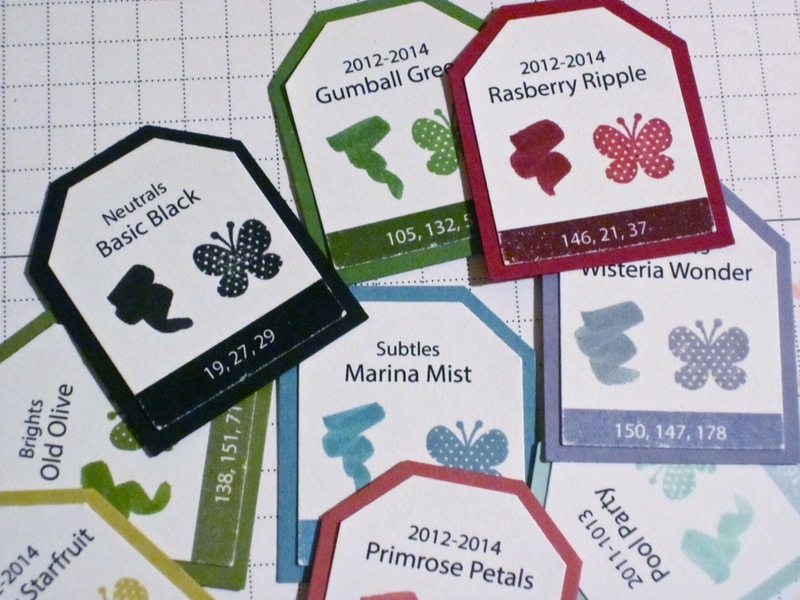 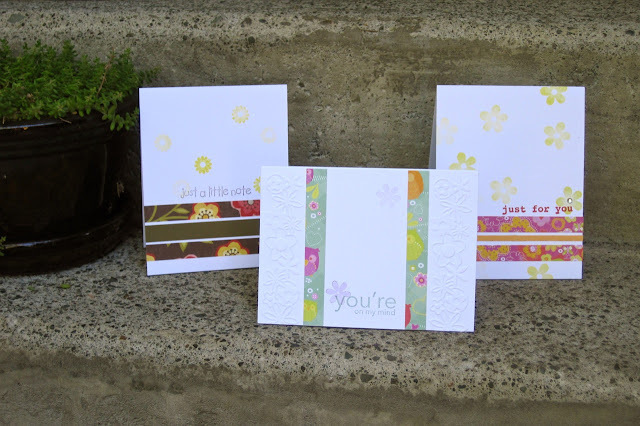 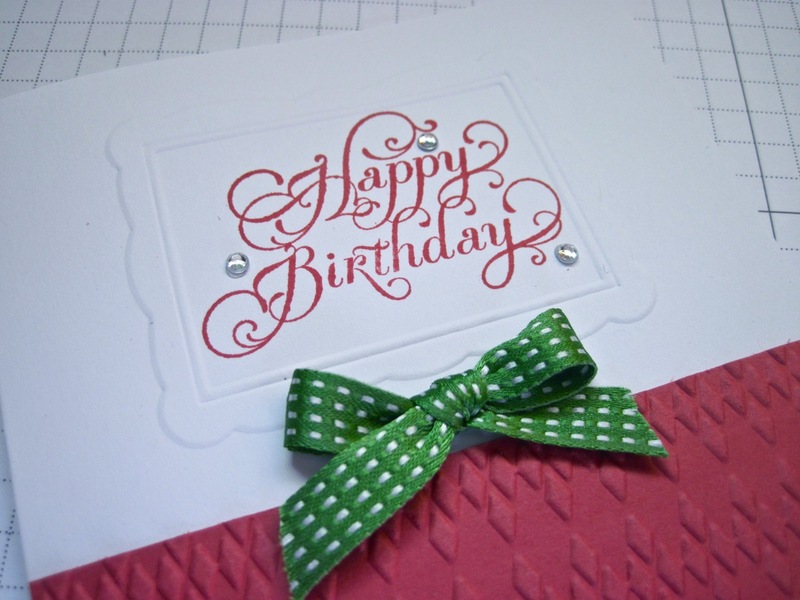 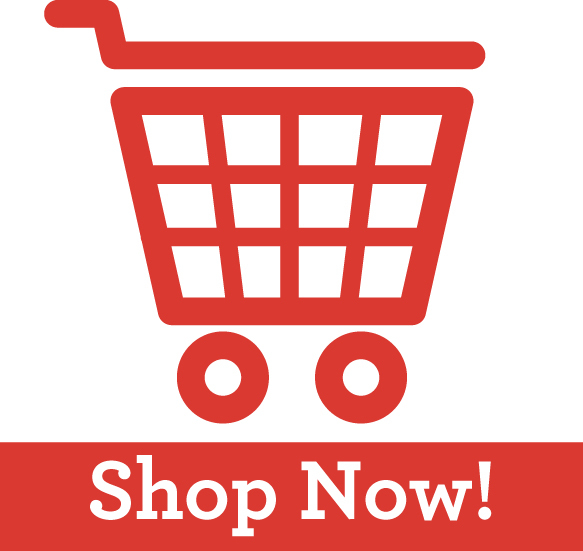 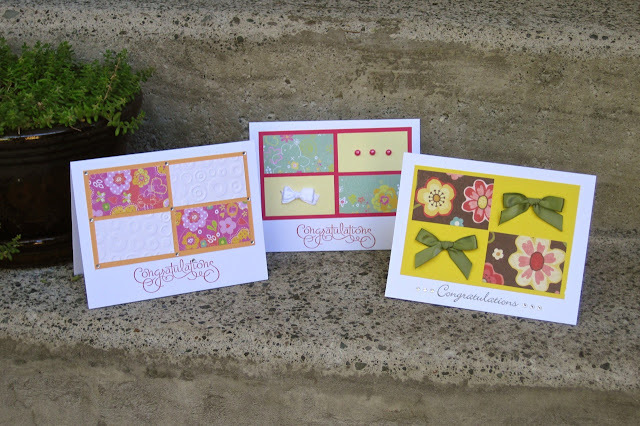 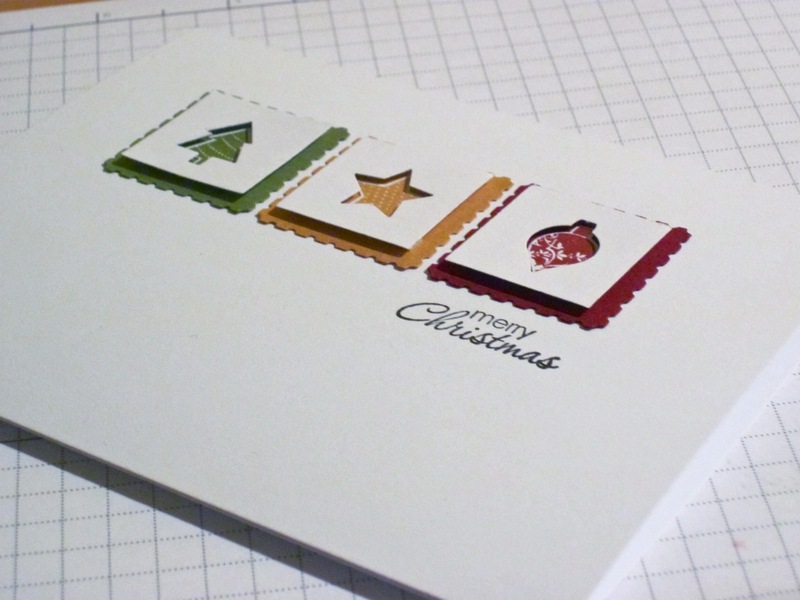 I recently signed up as an Independent Demonstrator with Stampin Up! I'm doing it as a hobby, I still have a day job (well for a little while longer, gotta love contract work), but a good friend of mine is hosting a workshop soon! 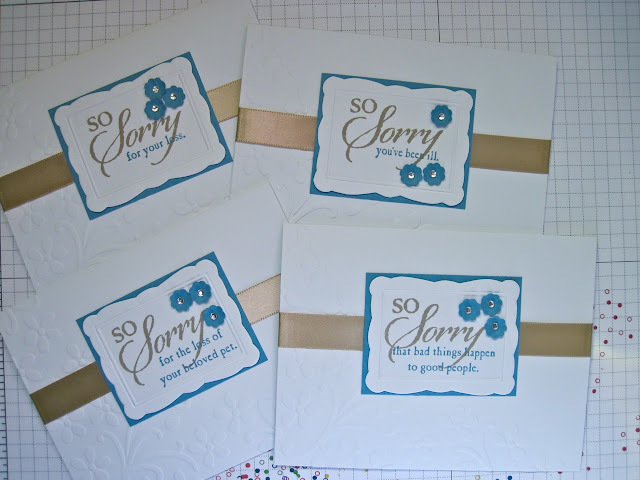 Here's some more samples from sets I made before (and have posted in previously). 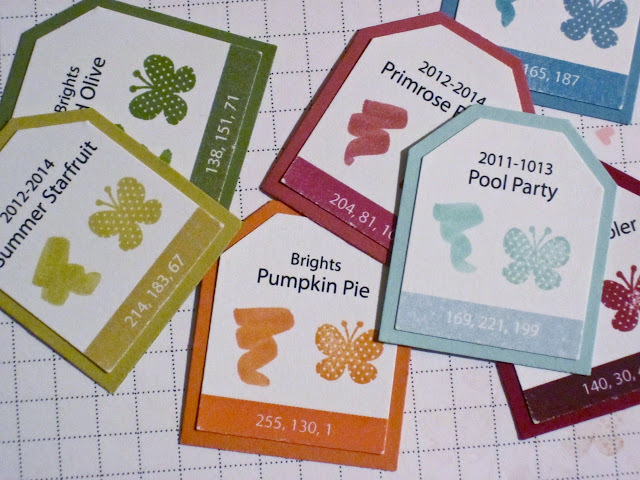 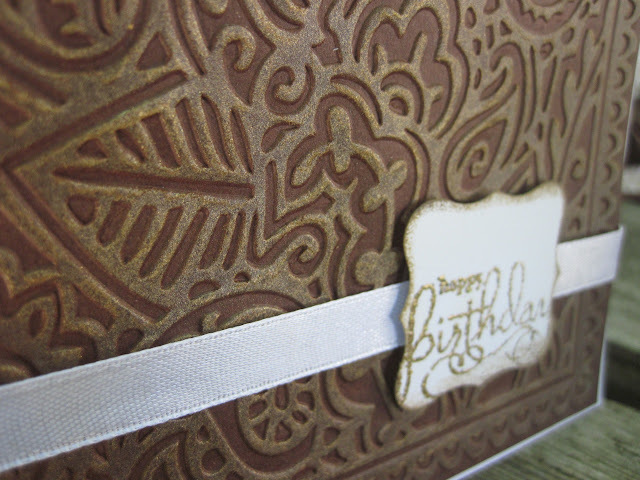 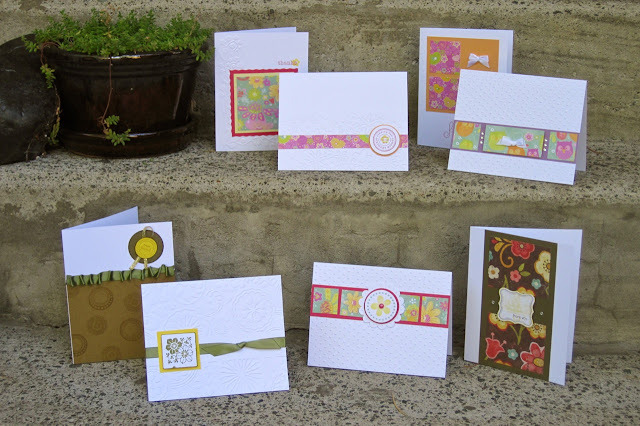 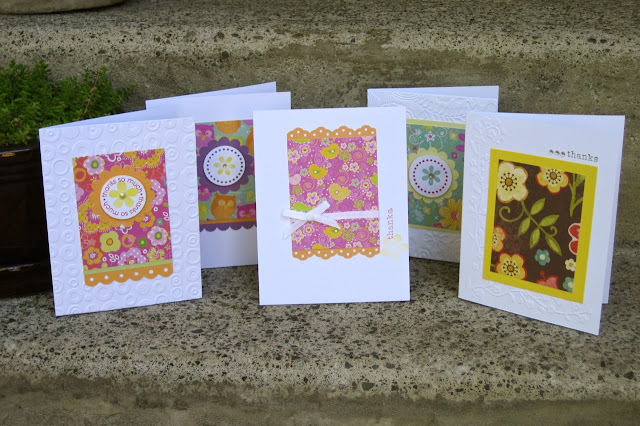 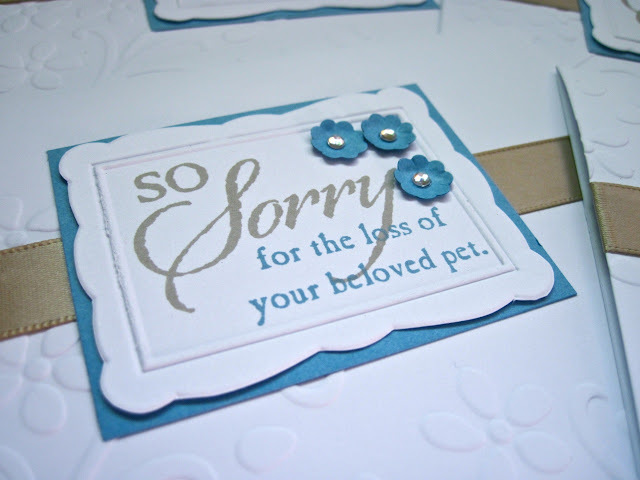 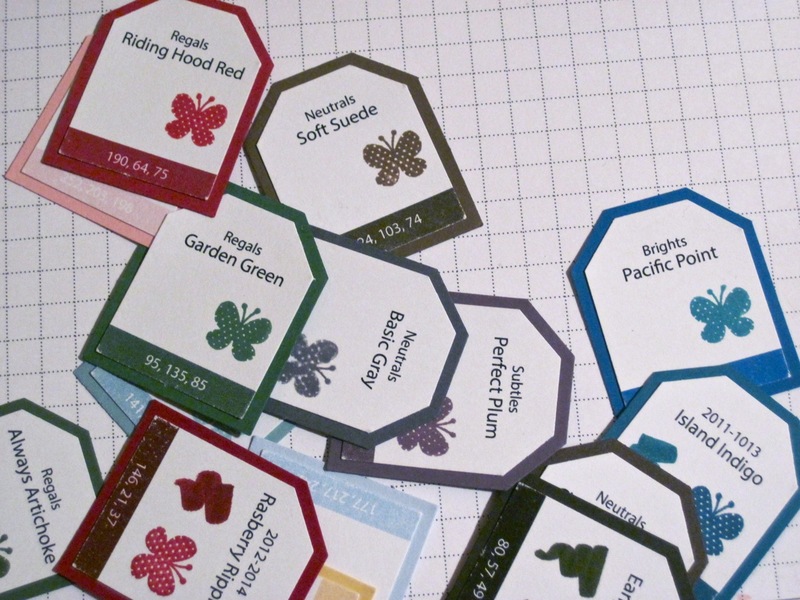 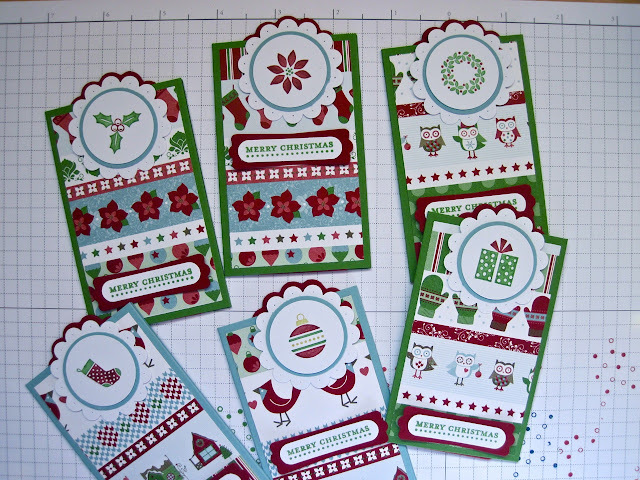 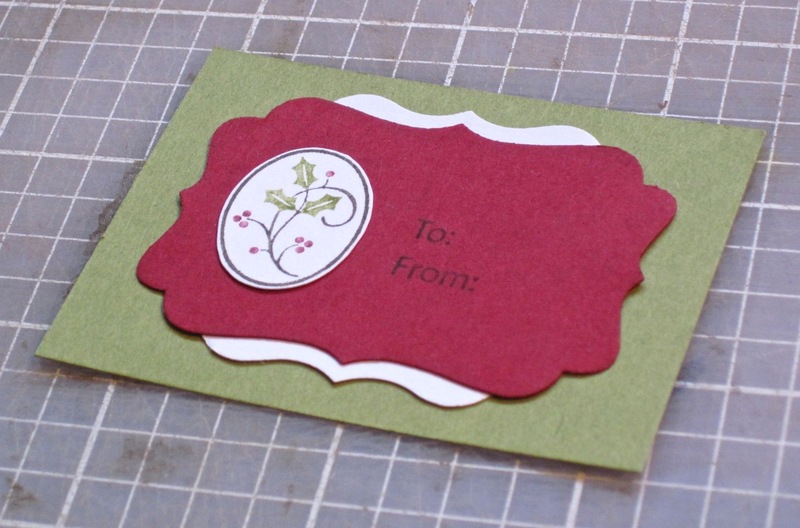 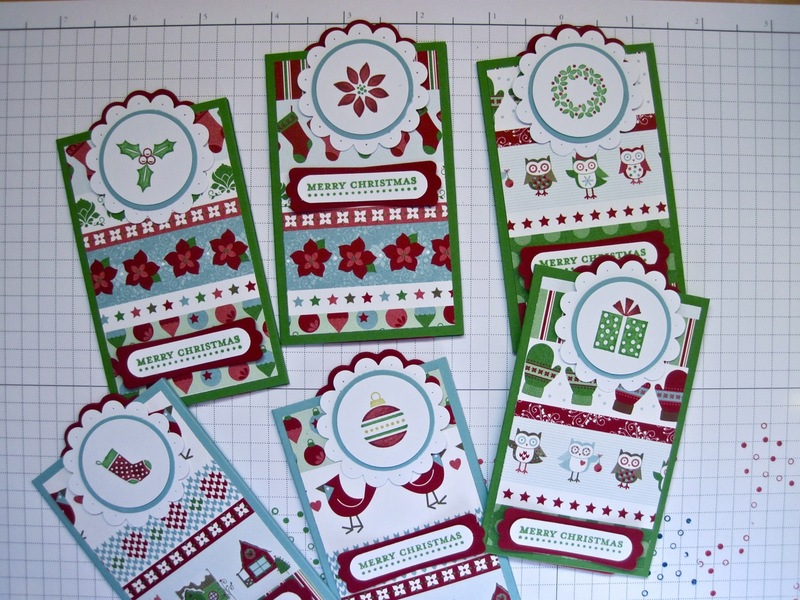 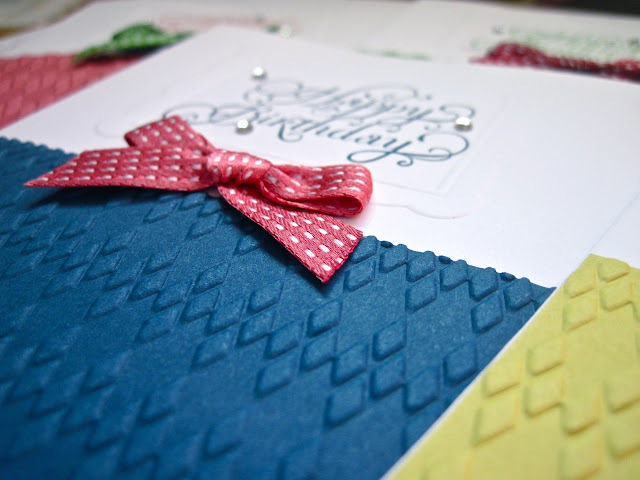 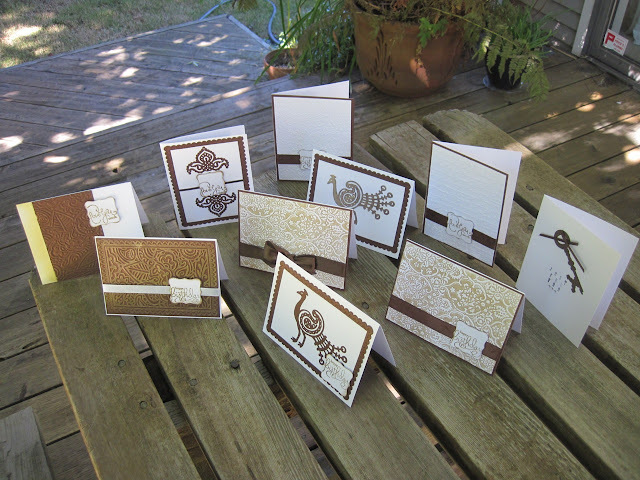 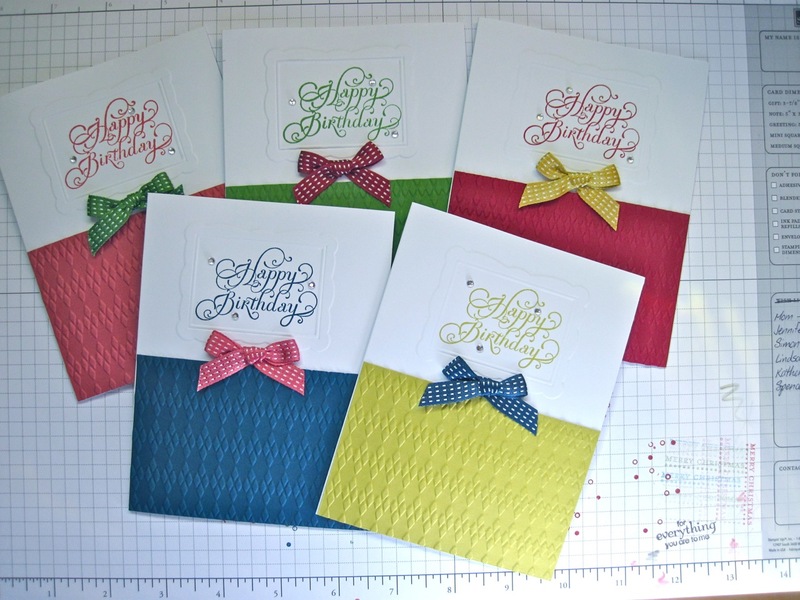 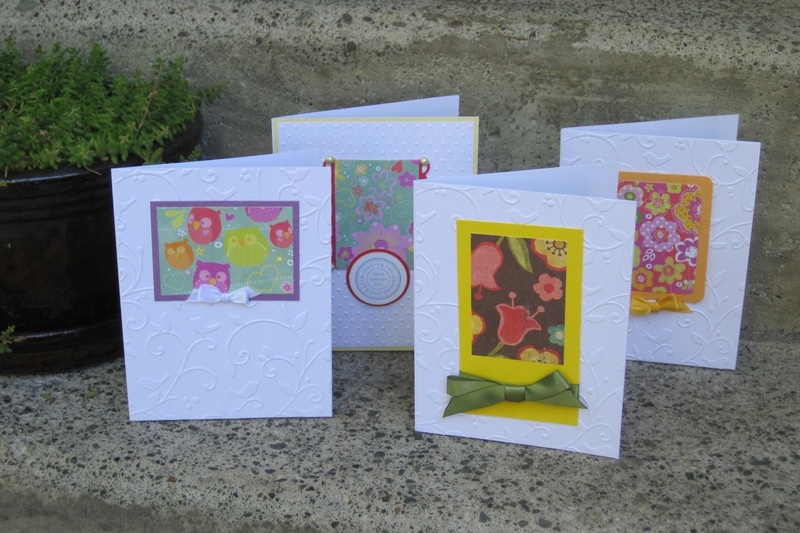 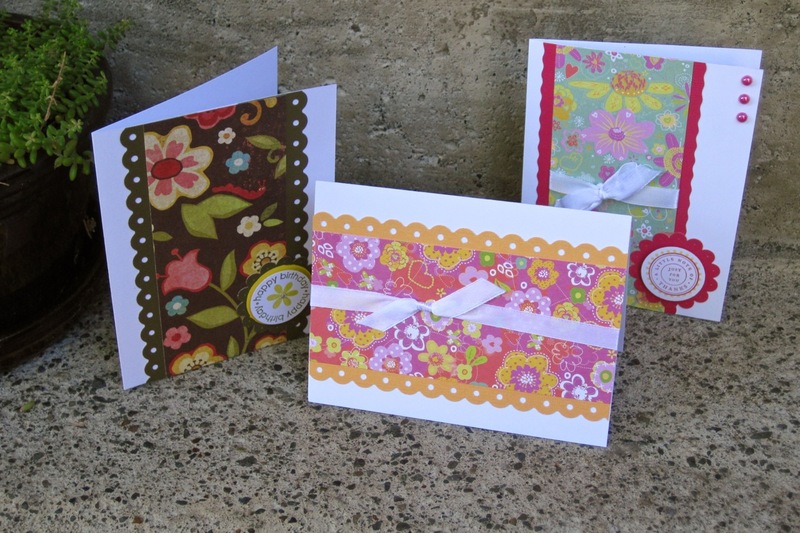 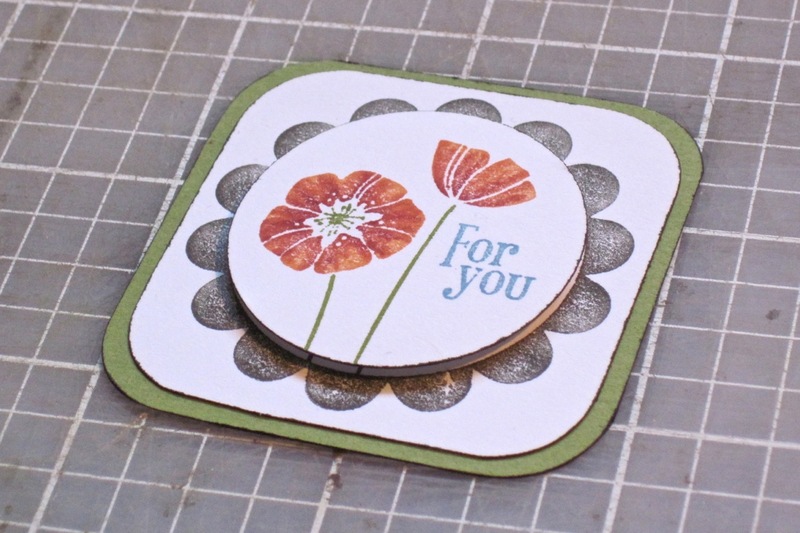 Each card in the set can use the same designer paper, or any of the 24 different patterns I'll have available. 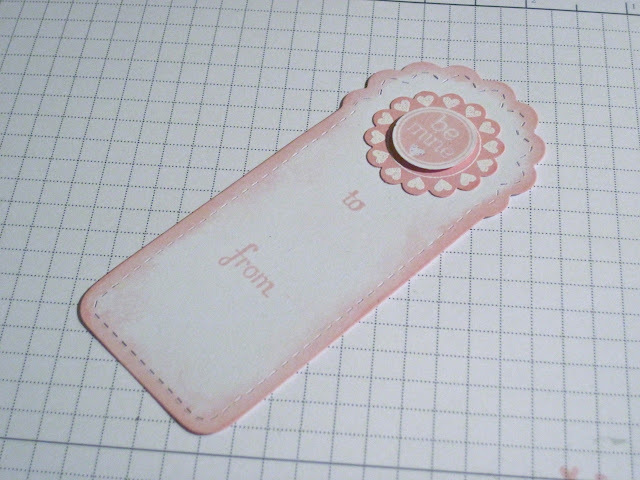 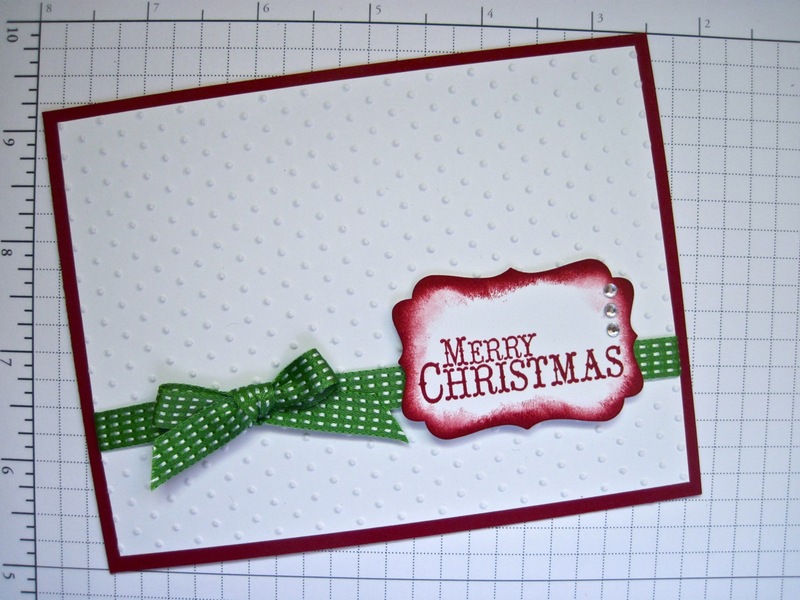 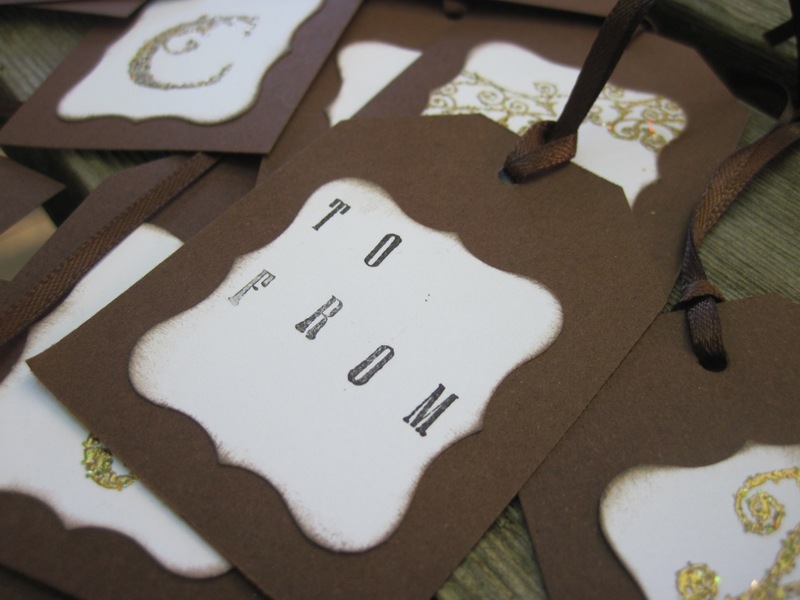 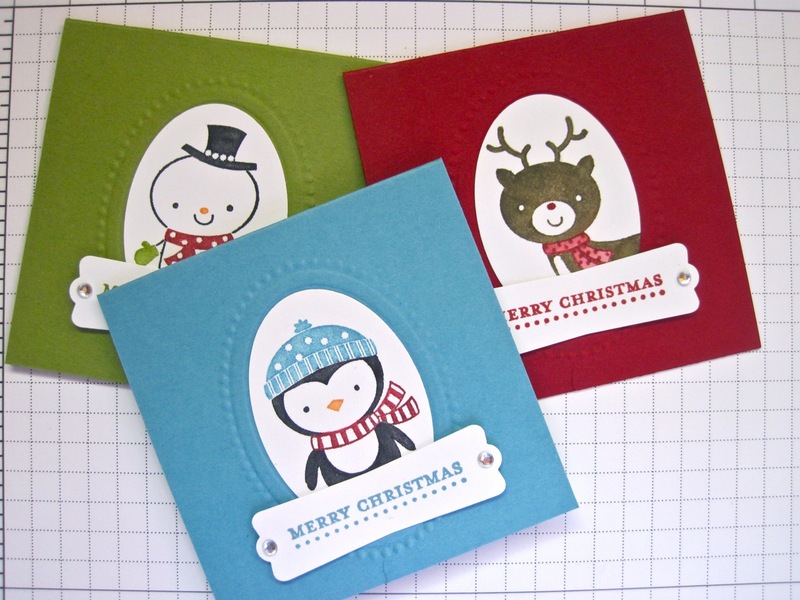 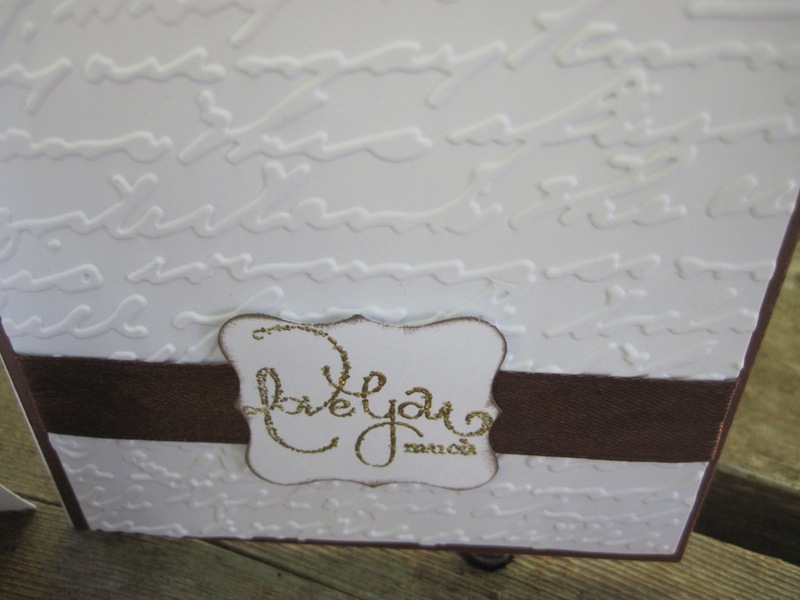 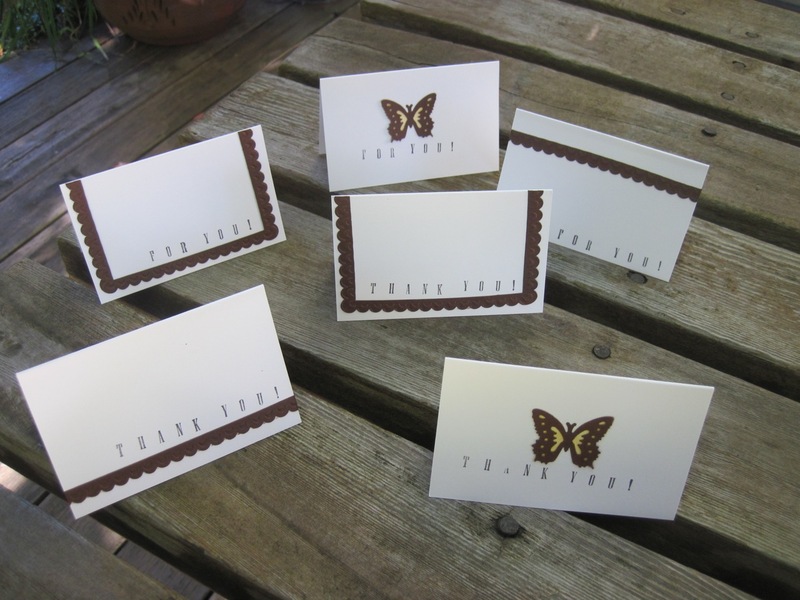 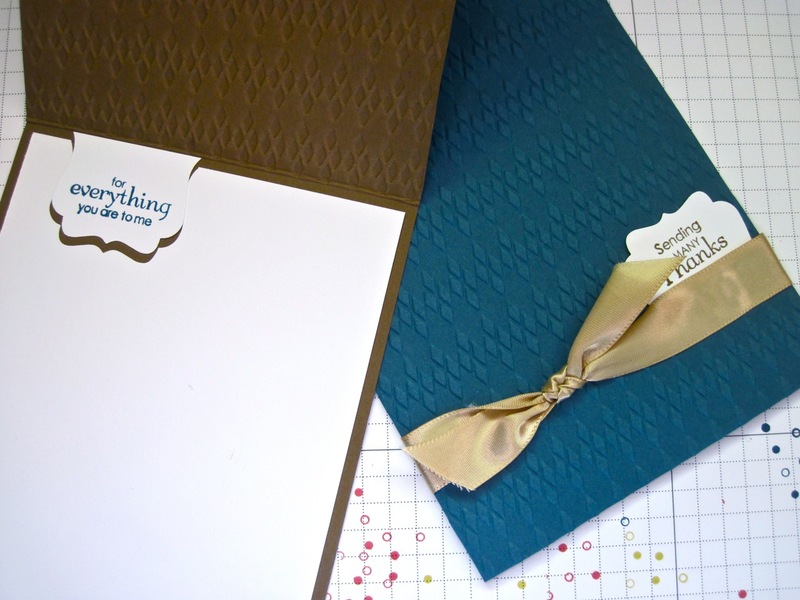 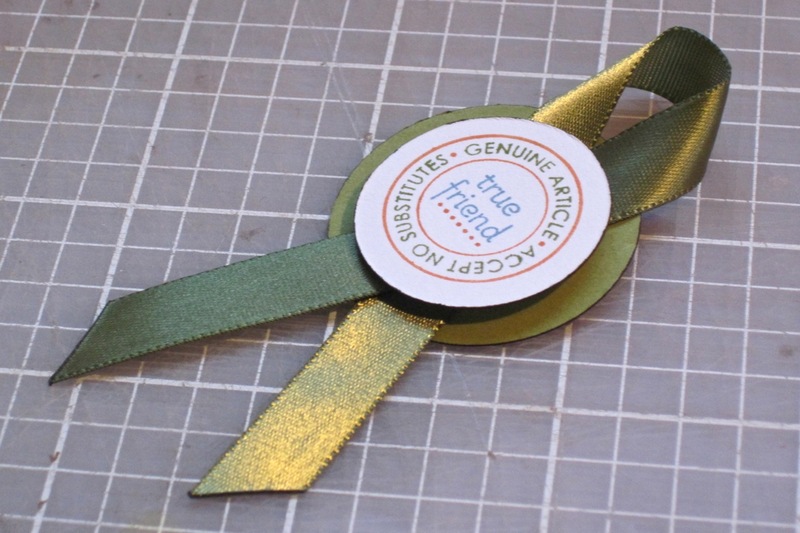 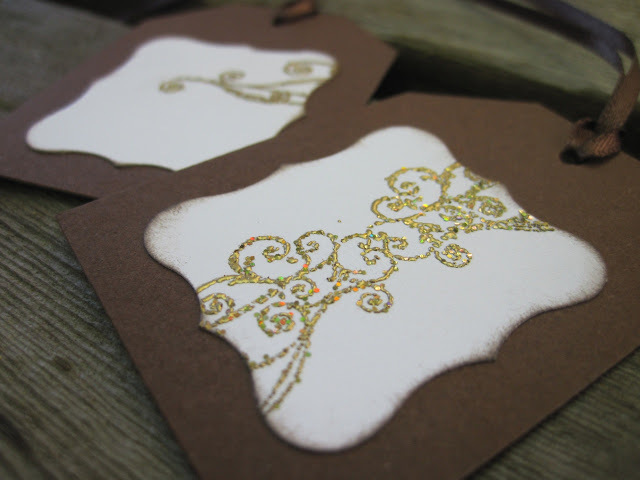 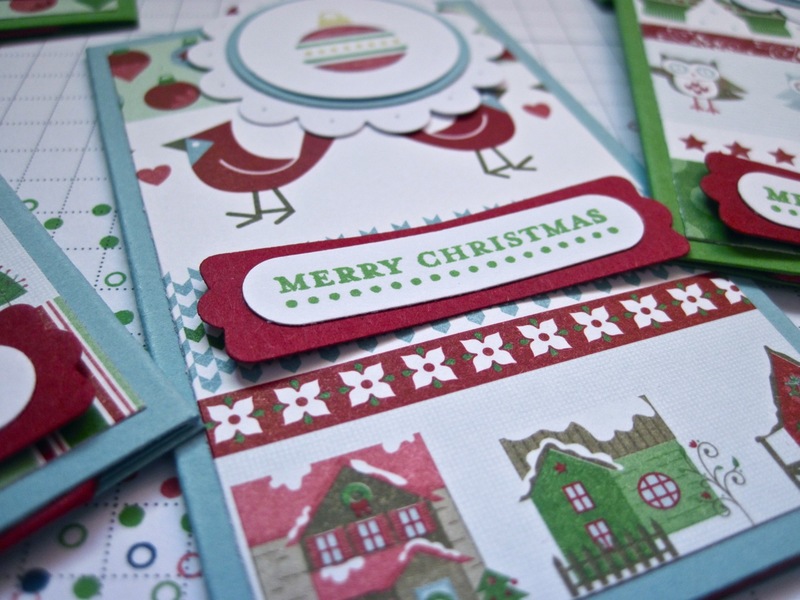 Along with that, there will be lots of matching card stock, ribbon, ink and stamps around to make each and every one of your hand made cards unique! 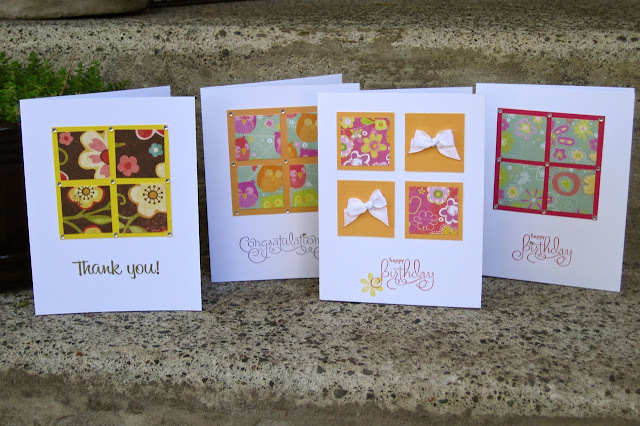 Oh and I have to give a huge shout out to my Stampin Up upline Angela for all the help she's given me already!